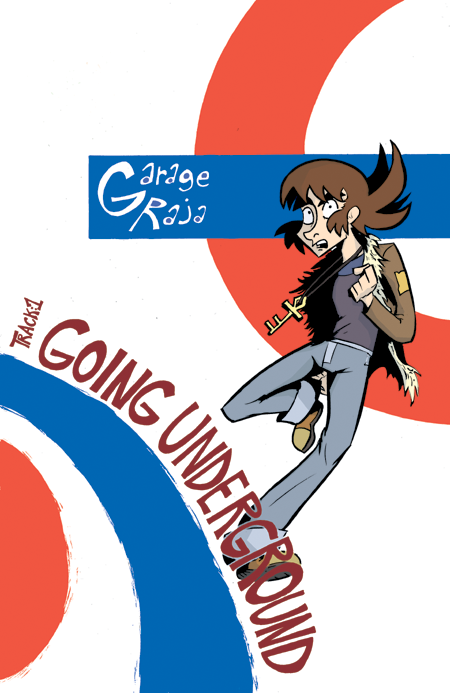 Follow the Garage Rajas as they take their act underground...literally! After another humiliating performance on-air, the Garage Rajas have finally reached the end of their rope. Worse still, they've now lost their drummer, Sterber! 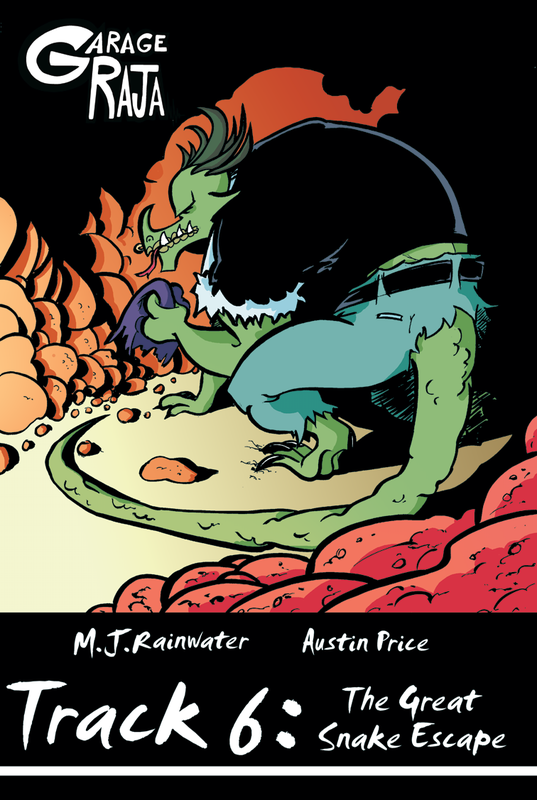 Following a path that takes them into the sewers and deeper still, the Garage Rajas discover a nasty underworld hungrily awaiting their arrival. 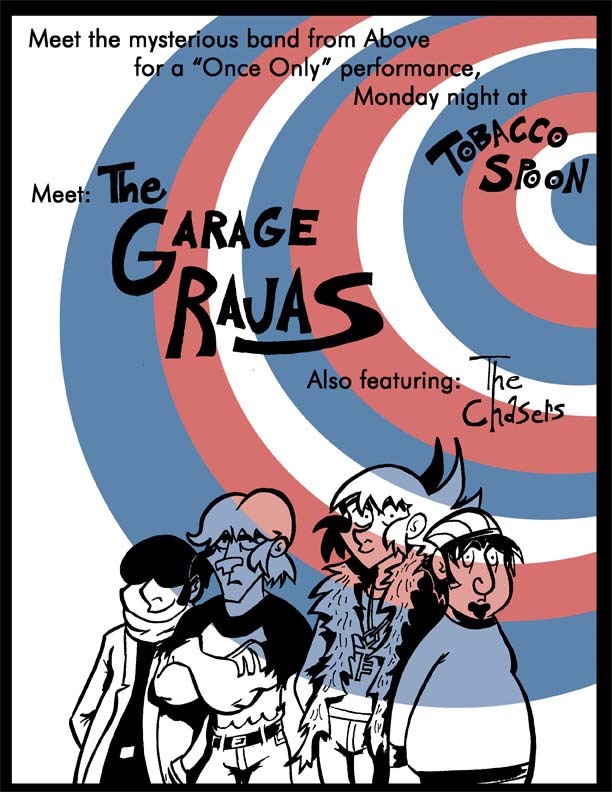 Rescued by the mysterious Mods of the underground, the Garage Rajas make themselves at home and get their first subterranean gig at the Tobacco Spoon. Nefarious plans ensue. 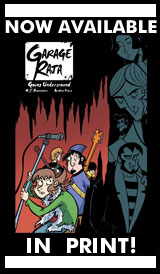 The Garage Rajas, now under the commission of the Modfather, join Alex and Percy on a trip into the caverns of the underground in search of the Lizards. Some plans get diverted. 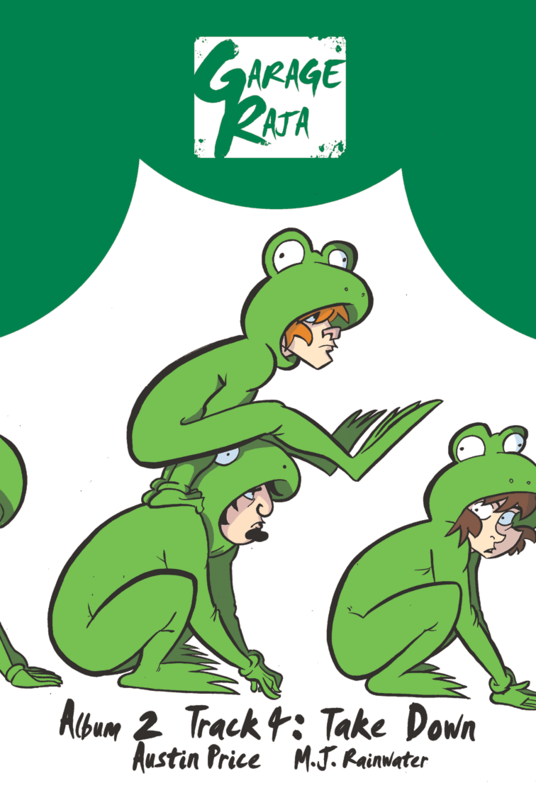 Captured by the Lizards, Percy and Reginald try and find a way out of captivity. 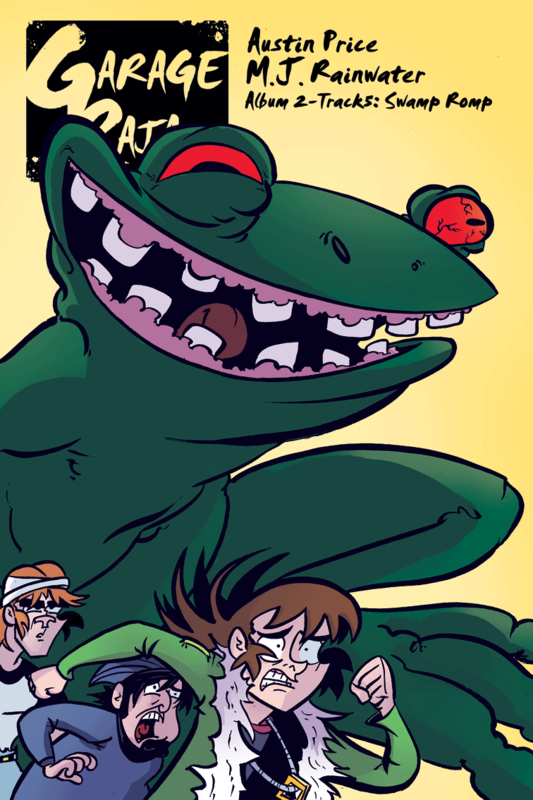 Meanwhile Ned, Alex, and Ghurnst secretly invade the reptilian stronghold in hopes of rescuing their captured friends. In the midst of all this turmoil, the band discovers an aspect of their mysterious keys they had previously never known. 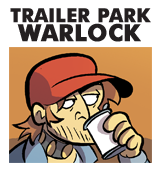 Revelation ensues. Alex,Percy,and the Garage Rajas return to the Mods having seemingly accomplished their task of demolishing the Lizards. Celebration quickly turns into trepidation when the Garage Rajas discover they've been double-crossed. Betrayal ensues. The Lizards, through the awakening of their long forgotten king have finally made their full-scale attack on the Mods and the Garage Rajas are caught right in the middle of it all! 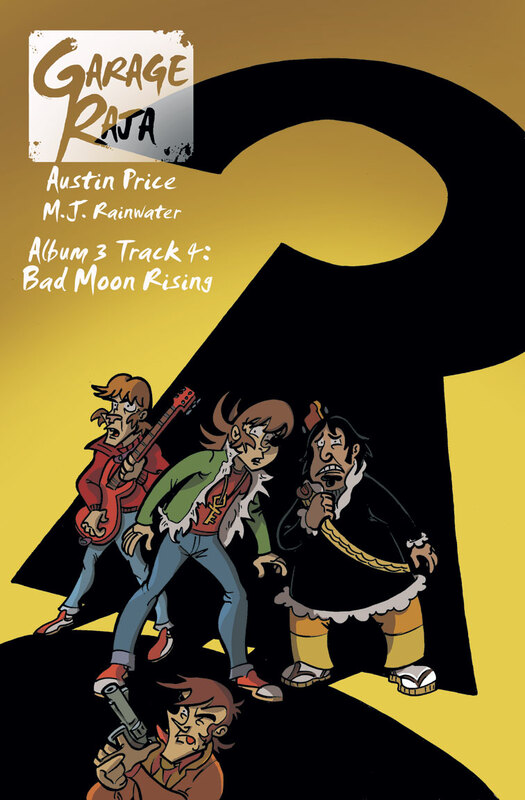 With some help from Alex, the band makes a last-ditch effort to escape from the underground. Hang on tight! It's the white-knuckle conclusion to Album 1! The Garage Rajas, back into life above ground, go looking for a drummer. But all is not well in their hometown of Julips as big changes are taking place from abroad and within. 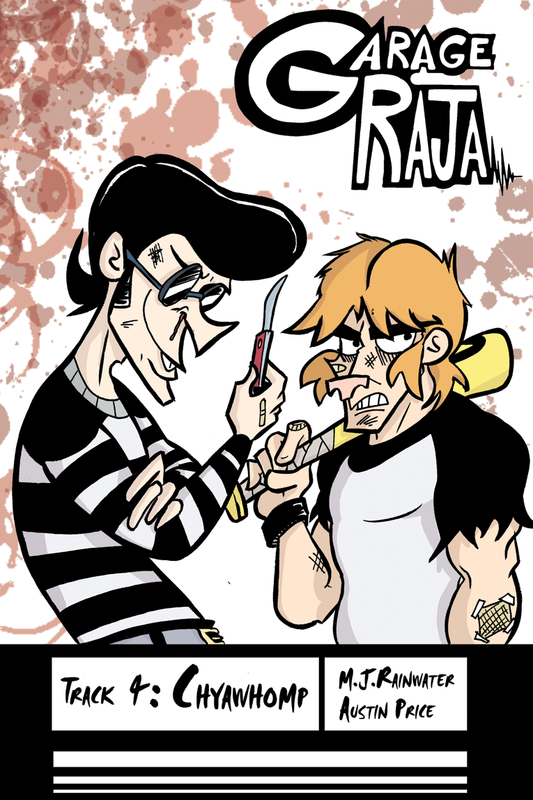 The Garage Rajas have their first show in weeks, but trouble is brewing in quiet Julips City. A band assassin is on the loose and they're right in its cross-hairs. The Garage Rajas find themselves in trouble with Johnny Law, or in this case, Mason Douglas! But just as they try and fix their situation, things take a turn for the worse. 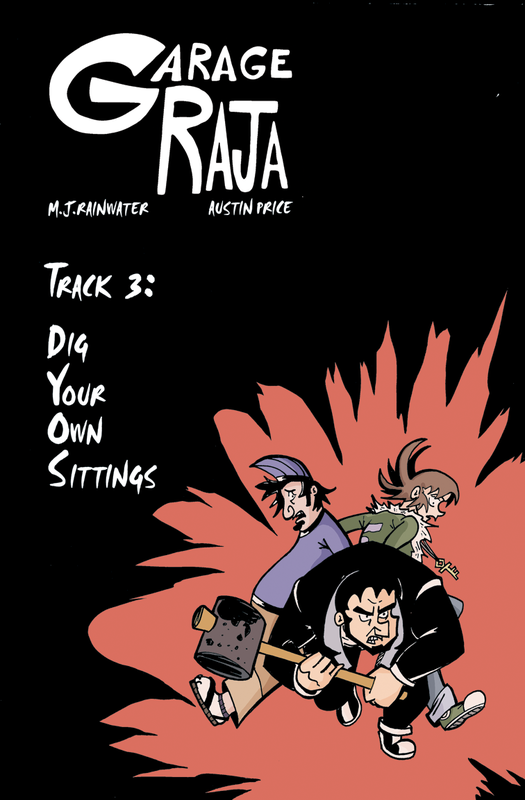 On the run, the Garage Rajas find themselves in an aimless escape into the woods. Alex finds an unexpected ally. A major revelation about the band-killer is unveiled. Scagmer's formal induction into the Ministry of Taste is at hand and Gauthier's plot is coming to its terminus. 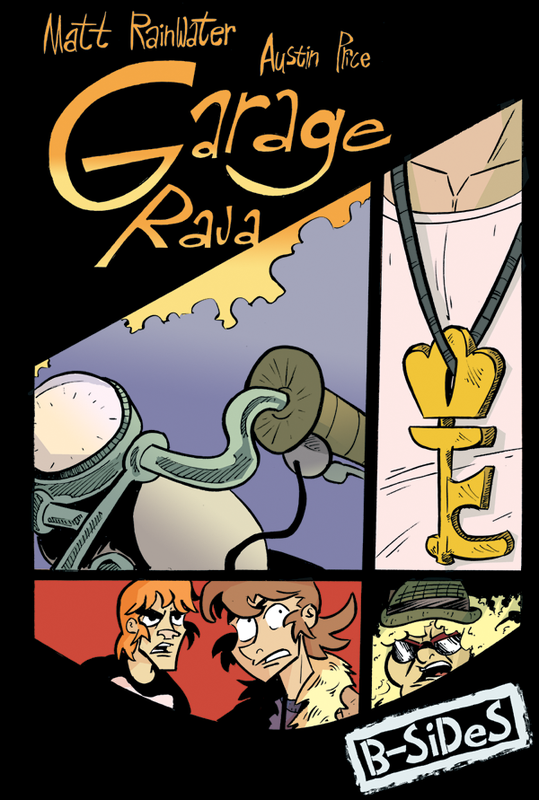 The Garage Rajas, in hopes of saving their own reputation, follow a plan laid out by Alex to protect the minister to be and stop Gauthier before his ritual is complete...if it's not already too late. The B-Side to Album 2. 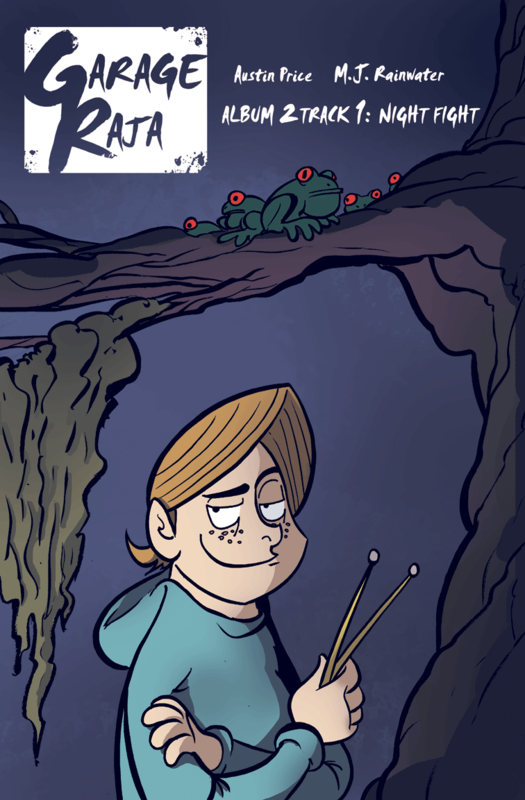 Ned meets a mysterious (and somewhat frightening) stranger who possesses a key of his own! With the attempted assassination of the newly inaugurated Minister Scagmer behind them, the Garage Rajas are back to living life as a band and this time with a little public attention to boot! 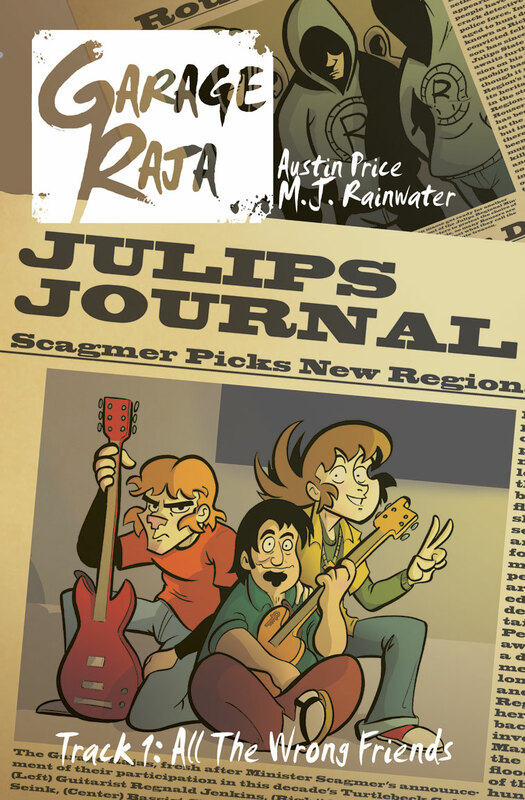 But with recent calls from Mason Douglas, Julips City's detective on the scene, the Garage Rajas' band time might not last much longer. It might be time to do some ghost hunting. 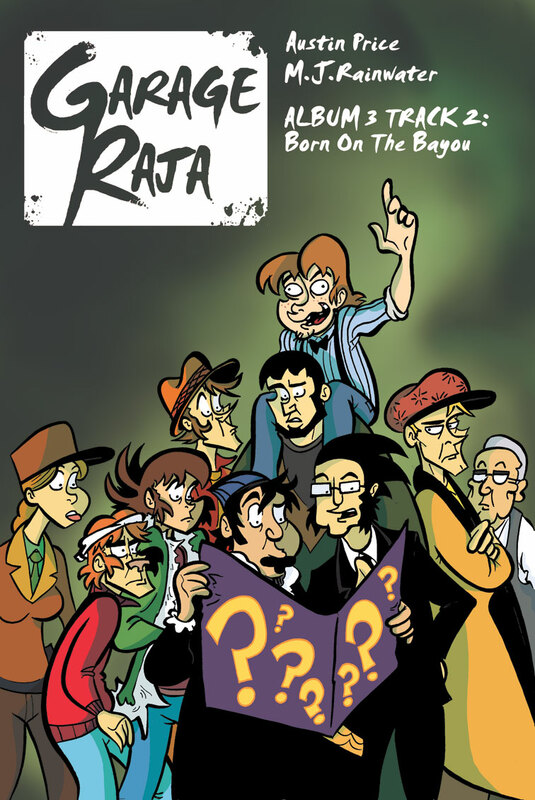 The Garage Rajas return to life as a band, but with Mason Douglas hot on their tail, the Rajas are starting to lose their patience with Julips City's top detective. The Rajas discover that the entire Julips Region is on the clock and at the end of the timer is a ghostly bomb ready to go. 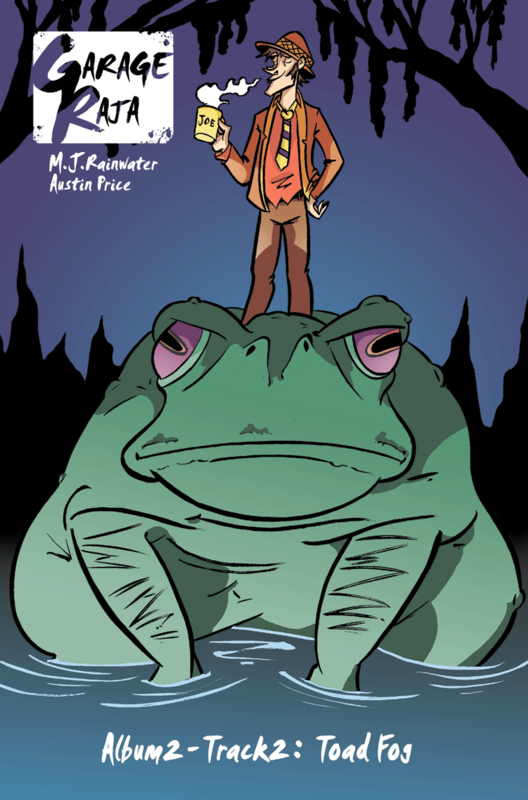 The legend of Two-Legged Pete is delved into further and the Rajas experience the dangers of the swamp first-hand. 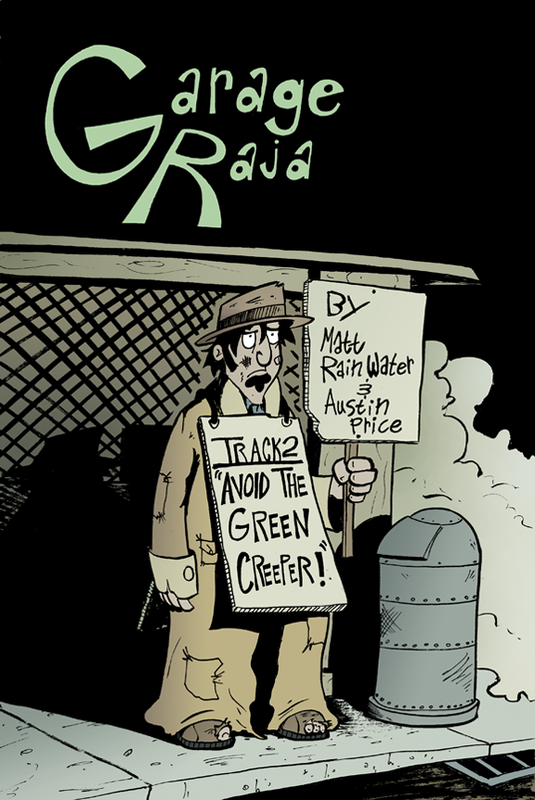 The Garage Rajas have narrowly escaped certain death, but Inspector Mason Douglas may very well be lost to the murky deep. Saved by a mysterious man on the bayou, the Rajas soon discover they're closer on the trail of Two-Legged Pete than they could have imagined. 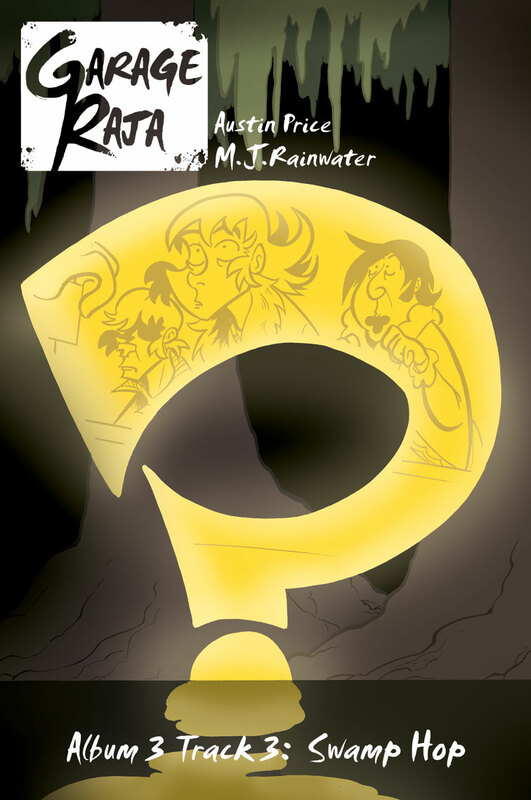 Plenty of secrets are soon revealed! Album 3 comes to its catastrophic conclusion as Two-Legged Pete is finally made manifest in the world and it's up to the Garage Rajas with the "help" of Mason Douglas to set things straight. Before there was Garage Raja, there was Garage Logic! 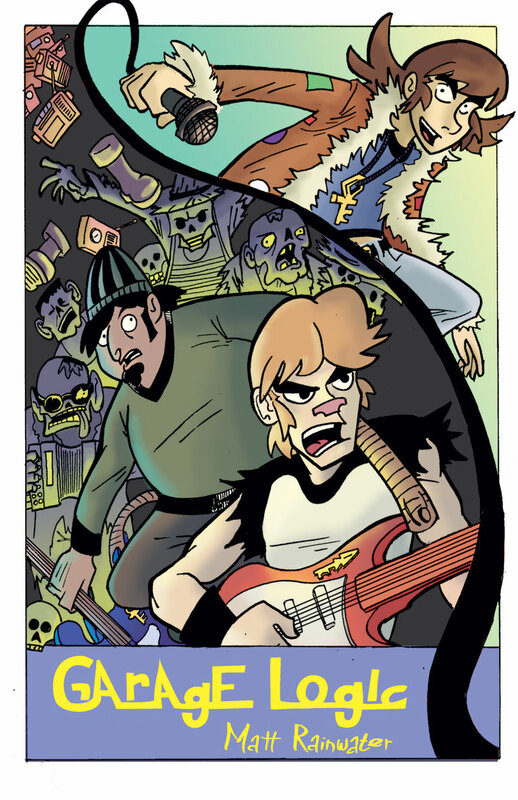 This was the first ever published story featuring Ned, Reginald, and Ghurnst as they inadvertently take on the enigmatic forces of the ghost, Two-Legged Pete, and his zydeco zombie minions! The Garage Raja's are going to Turtlebeck! Rewarded by Minister Scagmer with the privilege of becoming Cultural Representatives for the people of Julips, its high time for the Rajas to get their act together before the big day. Unfortunately, without a stable drummer, the Rajas are stuck with Mason Douglas and Alex has gone incommunicado after he was last asked to join the band. 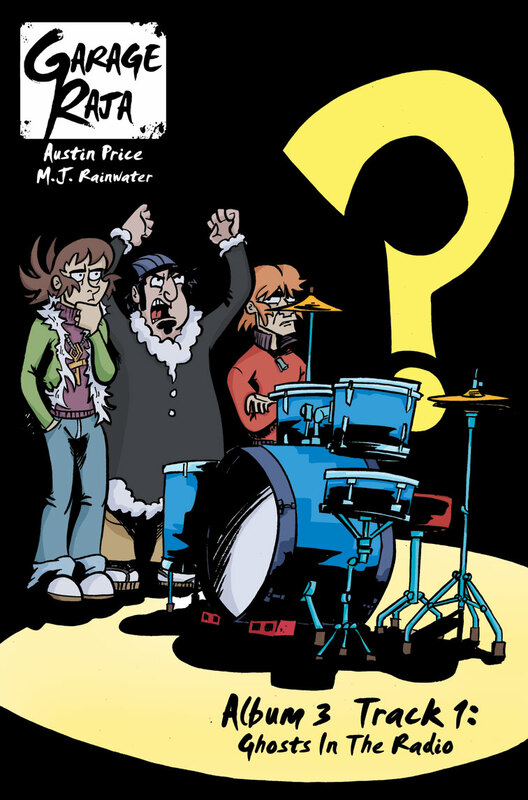 On top of all of this, the band is struggling with inner tension as Ghurnst faces his own personal crisis and Ned begins to doubt his own abilities. 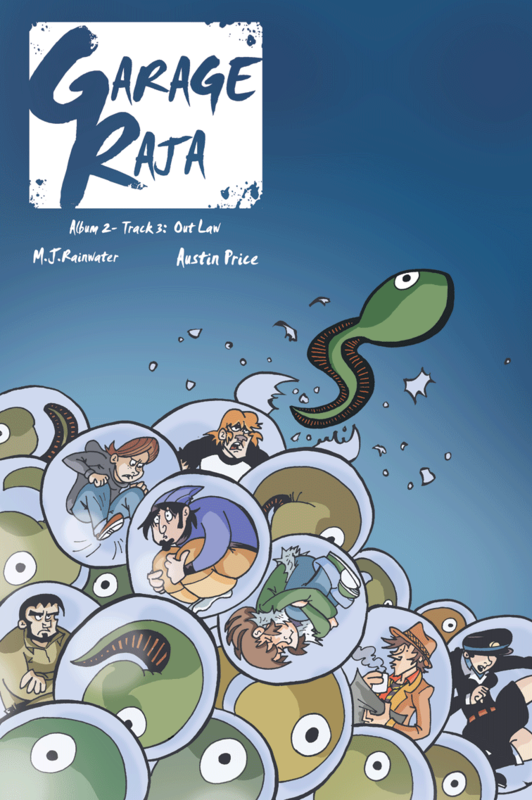 Can the Rajas make it to Turtlebeck with a fully functioning band or are they doomed to miss the greatest opportunity to enter their lives? 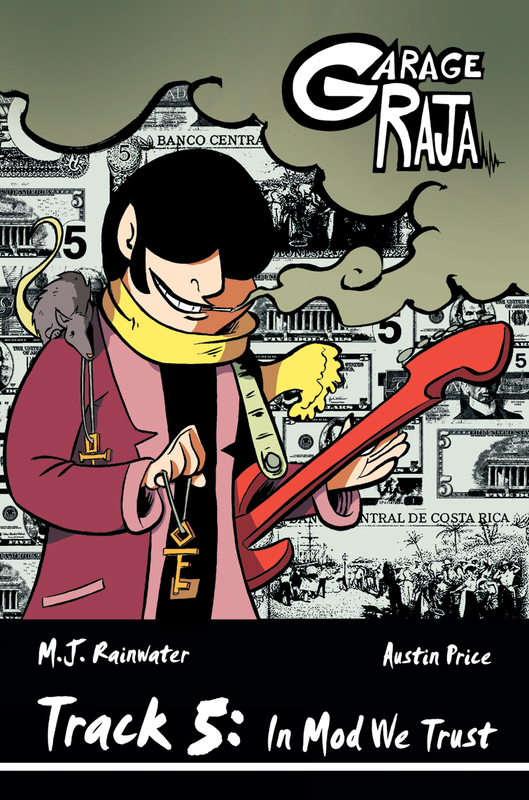 The Rajas are stuck with Mason Douglas as their drummer for the forseeable future. The people of Julips are rejecting the Garage Rajas as Cultural Representatives for Turtlebeck. Alex is no longer talking to the band and Ghurnst has locked himself away from the world. As the band crumbles just before the biggest opportunity to enter their lives, can they pull themselves together for the big day?